Last Sunday we had a great Mommy Time Out session via Facebook live videos. It was lovely to chat with other mothers, listen to their inspiring stories and choose winners for Naturalene products from Greeniche. The topic was “Mommy Me Time”, why it’s important and how to make it happen. I loved everyone’s contributions and ideas. The best part for me about the Mommy Time Out was that I got to chat with a lot of the followers of the blog, an opportunity I do not get during the Live Urdu Story Time with Zeynab since the children take over! Everyone had lovely ideas to make Mommy Me Time happen and some really inspiring stories about mothers who are their own role models. You can catch the whole session here, incase you missed it! There were also 10 winners who were picked to win amazing Greeniche gift baskets based on their contributions during the live session. The gift basket was full of Naturalene products made of organic, all natural ingredients. And *drum roll*….here are the 10 winners: Rida Rehmani, Madiha Abid, Faiza Sheikh, Maryam Tariq, Mahnoor Akbar, Seleha Rehan, Hameeda Hasan Atif, Nazhat Mehmood, Tayyaba Hasan, Madeeha Saeed Ahmed! Congratulations winners! Another great aspect of this Mommy Time Out was that I shared some of my favorite book recommendations and I loved how there was great interest in books. The viewers asked me to share the list in a written form also. So here it is again and the reasons I love these books! 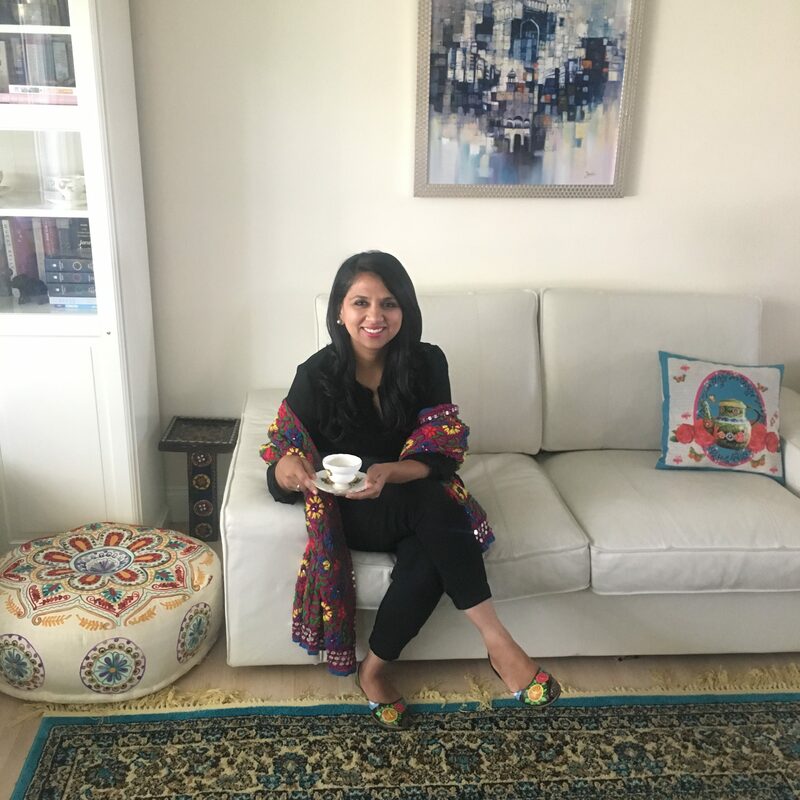 Summers Under the Tamarind Tree by Sumayya Usmani: I love this book for the amazing stories that Sumayya shares from her childhood, Pakistani recipes made in her house as she was growing up and the lovely sense of nostalgia that any immigrant can relate to. Mazeed Himaqatein by Shafeeq-ur-Rehman: Whenever I need a dose of witty Urdu humour that makes me laugh till I have tears in my eyes, this book is the answer! The Happiness Project by Gretchen Rubin: I have been a big fan of Gretchen Rubin since I read The Happiness Project. This book continues to inspire me as Gretchen shares how small things make big differences in our every day life. The Complete Novels of Jane Austen: Jane Austen is one of my most favourite authors. She takes us to another world of old traditions and charm however the challenges for women are the same. Her heroines are strong, have opinions of their own and leave their mark on the reader. It’s a joy to read Austen’s witty writing and have an escape from the every day. This Mommy Me Time was a lot of fun! A lot of you have asked me to make it a regular feature and I will see what can be done! Till then, take care and stay in touch!